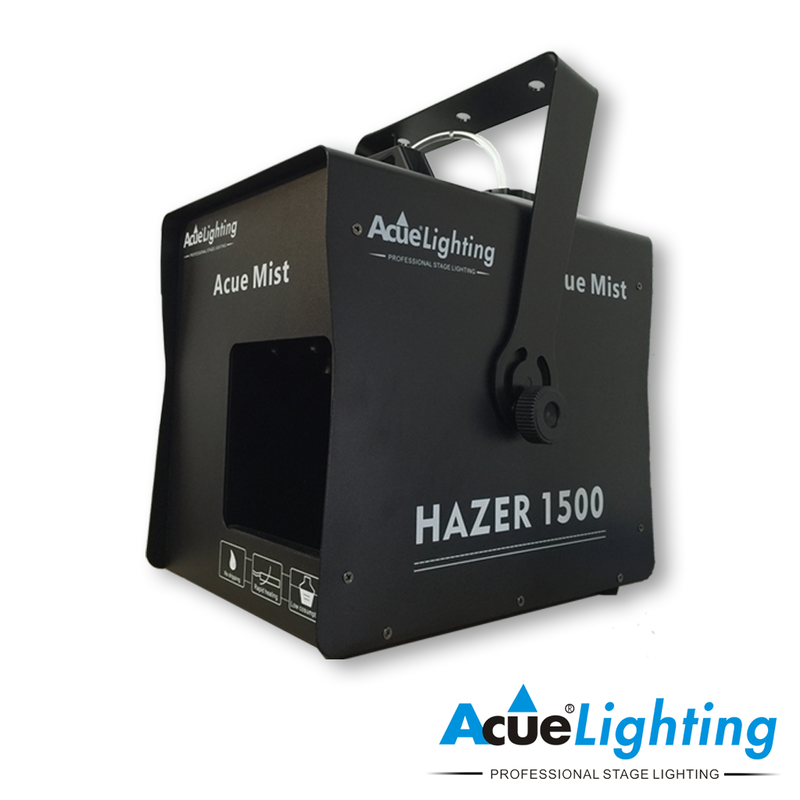 The Acue Mist Pro 1500 Haze Machine is a professional grade water based hazer. 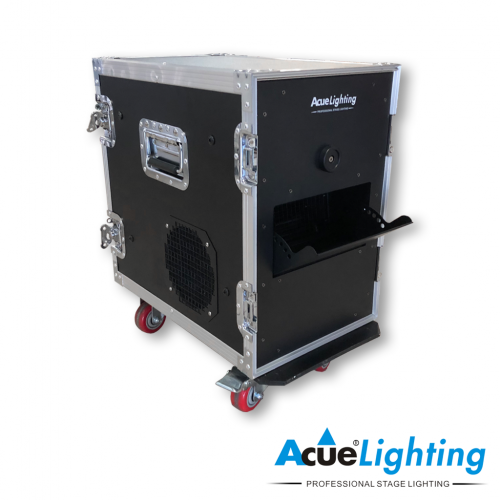 It is equipped with a massive 1500W heating core and is perfect for mid size to large venues. 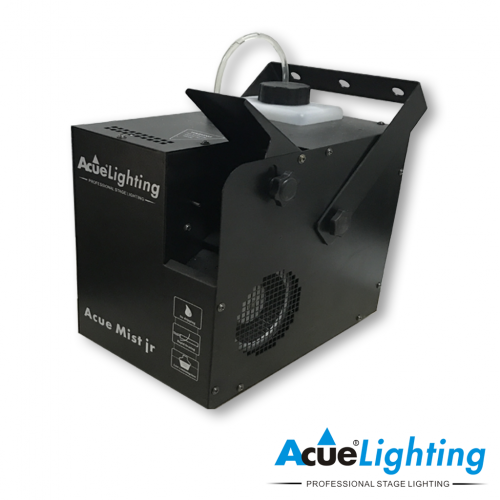 The Acue Mist Pro 1500 is also equipped with a microprocessor used to control output and fan speed. 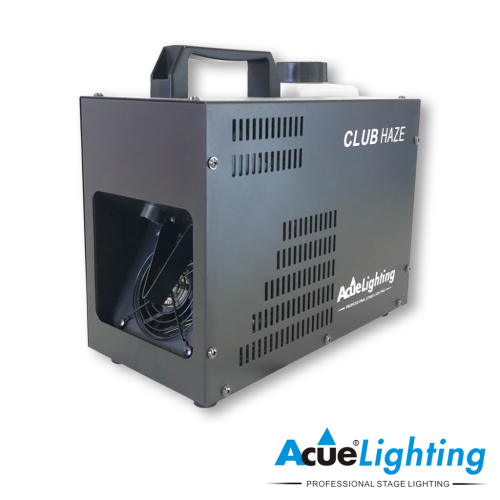 Also, just like all of the Acue Lighting brand hazers, the machines will automatically empty the heating chamber of liquid once the haze output has been turned off. This is helpful in keeping the machine from getting clogged and allows for flawless operation every time. Each unit comes with a wired remote control with timer, interval, and output control. The Acue Mist Pro 1500W Haze machine is one of the most advanced haze machines on the market. It has an 8000 cubic feet per minute output which is one of the highest outputs for machines of it’s size. The CPU also controls the heating element by keeping it at a constant temperature which is the reason why the output is so even and smooth. This machine features a no-drip system. Unlike other hazers, this unit will not “spit” out hot liquid. 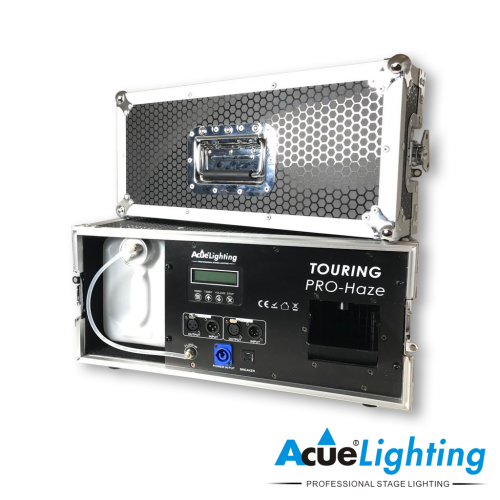 Operation Modes DMX 2ch operation (Fan & Haze output), Wired controller with timer, output, and interval control, on board control of fan speed and haze output.